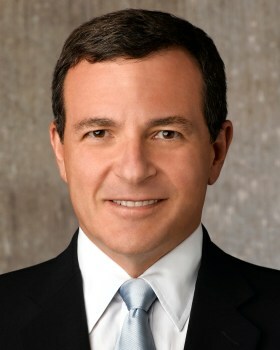 Disney CEO Bob Iger said the company is "taking stock" to ensure that its videogames don't cross the line. Disney probably isn't the first thing that pops into mind when the topic of violent videogames comes up, and Bob Iger would like to keep it that way. With entities including the U.S. government once again calling for further investigation into the role that videogames play in gun violence, the Disney chief executive said the company will "take stock in everything we've got that can be considered near the line or over the line." "Fortunately at Disney there's very little [violent content], but I still want to make sure we're asking ourselves the right questions in terms of that standard, and also [ensure] we're willing to be a part of a dialogue in today's world that I think is pretty necessary in terms of what our role is and what our role should be," Iger said last week. I'm pretty sure that the most violent videogame Disney has ever published is the decade-old Tron 2.0, which actually went out the door under the Buena Vista Interactive flag. Still, given Disney's recent, much-ballyhooed announcement of the Disney Infinity franchise, not to mention the ongoing hand-wringing and finger-pointing over the Sandy Hook mass murder, it's not terribly surprising that Iger would want to start preemptively burnishing the company's family-friendly image.